Today I’m starting this blog post from a crazy loud dance studio watching my girls practice. I’ve been thinking about some ideas for at least 3 days now, so I’m finally getting focused and putting my thoughts down on paper – or, should I say, computer! It’s hard to believe, but sometimes I find the best concentration in a room full of noise. I think this comes from life as a work-from-home mom. There’s always noise, always distractions, and ALWAYS something changing! 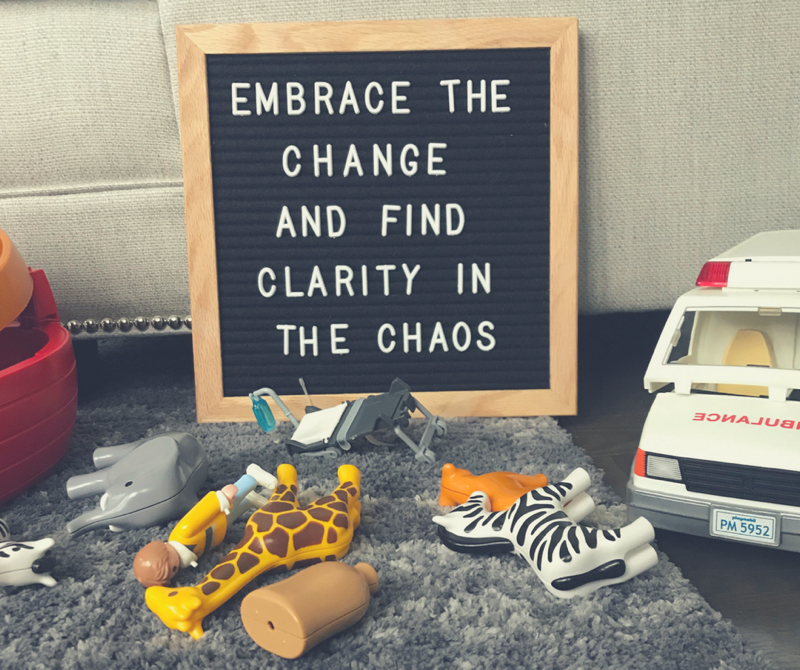 As 2018 started, I made a promise to myself to embrace three words: chaos, change and clarity. At the time, I knew I was newly pregnant, but I didn’t know so many other things would change during first four months of the year. I didn’t know my girls would both switch schools in the next year. I didn’t know that we would have an Au Pair joining our family later in the year. And I didn’t know that things in my FIT4MOM franchise would continue to change. I believe, with all my heart, that all of this change is good. It will be hard, no doubt. It is hard already. But I am embracing the change and finding clarity in the chaos. (I have this statement on repeat in my head some days!) Tell me it’s possible, Mamas? !